Go roll straight over those foreigners! 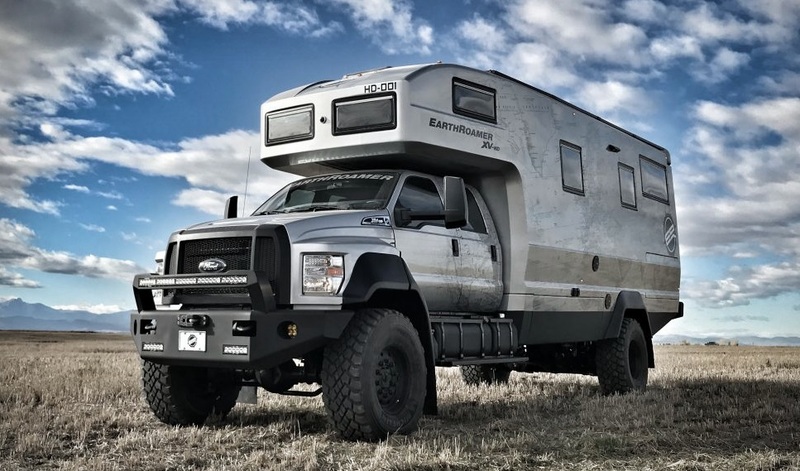 Think of a camper van, one perfect for a wee jaunt around another country, and you might imagine something compact, manoeuvrable, and subtle. However, those are three words that tend not to feature in American design, lest the creator be considered a 'libtard', a 'commie', and someone who isn't actually interested in 'Making America Great Again'. 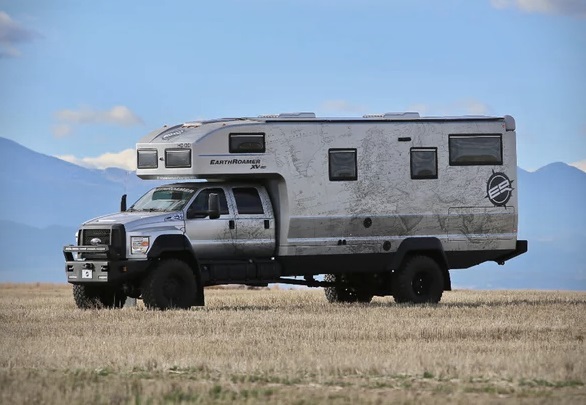 That is why the XV-HD from Earthroamer is the biggest, most luxurious, and probably most impractical RV you can buy. This beast has a Ford F-750 4x4 truck at the core, with a large living space built on top. There is a king size bed in there, as well as a bathroom with separate shower, and of course the obligatory wide screen TV. 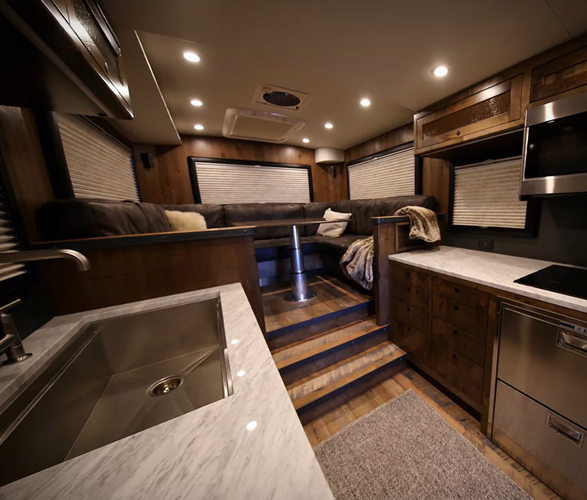 There is underfloor heating, a touch-screen entertainment system, a full kitchen, and also a washing machine - so you can really rough it while out in the wild. Earthroamer have international expeditions in mind for the people who buy these things, and have equipped the XV-HD with everything an American needs in a foreign country. What they've neglected to consider is that most of the world isn't as wide open as the grass plains of Arizona. The moment you drive one of these things into a European city you're gonna get stuck under a medieval archway, or blocked by a pedestrian precinct. Still, for driving around their farms and watching TV inside, this is great.